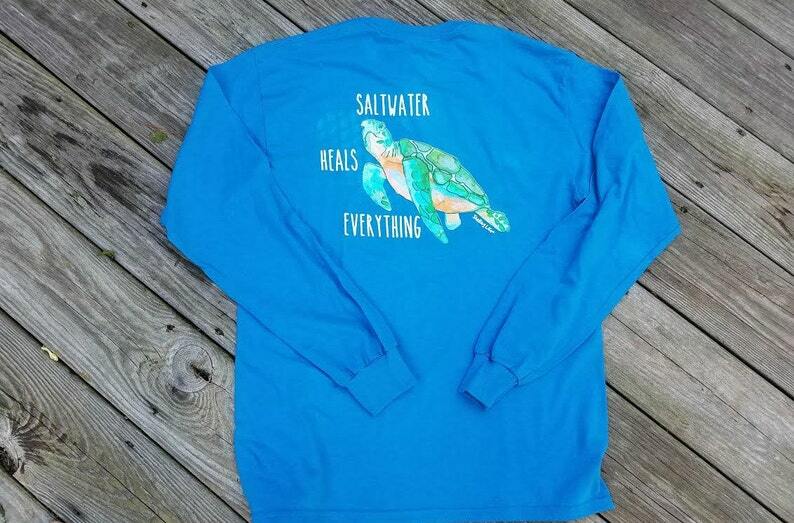 Now available is our men's long sleeve tee shirt - Saltwater Heals Everything (with Sea Turtle) on the back. 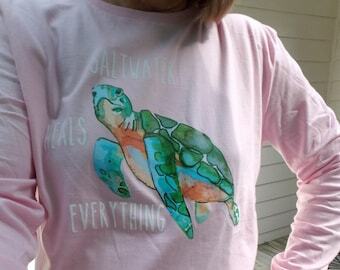 The front has our registered trademark design Shelling Life with sand dollar on the left chest. This will make a great gift or get one for yourself for fall and winter. Gildan Ultra Cotton, 100% cotton. Turquoise blue , Dark Gray, and Indigo Blue. Great shirt for beach lovers. These are men's sizes. My second year buying these lovely, well-made ornaments. Carefully packed and shipped quickly.